Daily Departures from November through March. Warm your heart this winter in Iceland. Witness the phenomenon of the Northern Lights, nature's very own light show. Embark on adventures of a lifetime as you charter a private helicopter and soar above the wilderness. 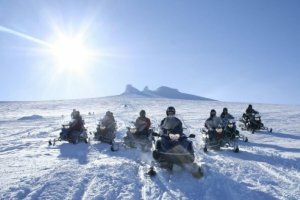 Snowmobile on top of E15 Volcano, travel the Golden Circle, trek on glaciers, go deep into The Crystal Ice Cave and enjoy a private culinary tour. Upon arrival you will be whisked away to the Blue Lagoon where the geothermal waters await you. An afternoon at leisure is followed by a search for magical Northern Lights. Upon arrival in Keflavik Airport, meet your private driver at the arrival hall. He / She will be carrying a sign with your name on it. You will then be transferred to the Blue Lagoon, which opens at 8:00 am (about 20 minutes' drive from the airport). The Blue Lagoon was formed in 1976 by happenstance from a neighboring geothermal power plant and has become one of Iceland's most treasured landmarks. Since it's inception travelers from near and far bathe in the unique water and apply the silica, algae and mud to their skin. It has been reported that those with psoriasis noticed an incredible improvement in their condition. The Blue Lagoon has developed natural products created from the the treasures of it's geothermal waters. Today, Blue Lagoon is recognized as one of the wonders of the world. Your experience at the Blue Lagoon includes a private changing room and entry to the Exclusive Lounge – a sanctuary of relaxation with stunning views, a fireplace, reclining chairs, an attendant, food service, and direct access to the lagoon. At around noon, enjoy lunch at the Lava restaurant (coast of meal is not included) and then transfer to the city for check in. 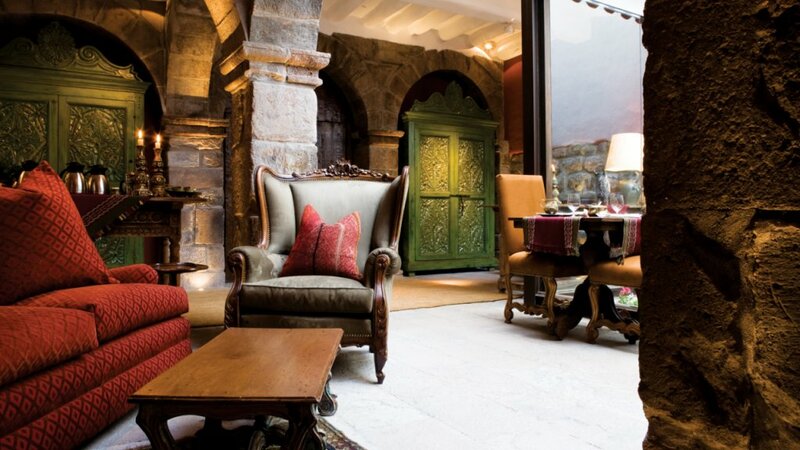 Tonight, meet your private guide in the lobby of your hotel. Your specialty vehicle is well equipped to go off the beaten track to locations not visited by most. Your guide will be your beacon as you drive away from the city lights through the darkness in anticipation of earths magical show. You will be mesmerized by one of nature’s most spectacular light show. The Aurora Borealis of Iceland, or more commonly known as the Northern Lights will entertain you as swirling lights glow and dance in the night sky. Be sure to have your camera handy, but if you prefer to just look skyward, have no worries as your guide will be sure to take photographs to share with you. As Mother Nature is in charge of weather conditions, our guides reserve the right to cancel or postpone the trip should conditions not be favorable and will reschedule when possible. Today, meet your guide at the lobby of your hotel and depart on a full day tour. Soak in a natural pool and explore three of the most popular attractions in Iceland. Þingvellir (Thingvellir) is the National Park where the Althing, an open-air assembly representing the whole of Iceland, was established in 930 and met up until 1798. The historical significance of the remains of Althing make this property a “must see”. It is said that remains from the 10th century are buried underground. Remains of agricultural use from the 18th and 19th century are also evident here. Gulfoss quite literally means “Golden Waterfall” in Icelandic. ; Gullfoss is a powerful waterfall located approximately 130 km inland from Reykjavík. In winter the view is spectacular when the waterfall freezes over into undulating waves of glistening ice. If you get to visit Gullfoss on a sunny day you will see that it is aptly named. ; Gullfoss is one of the most popular attractions in Iceland and the waterfall is considered one of the most beautiful waterfalls in Iceland. The area is named after the biggest, and now mostly dormant geyser; Geysir and all geysers in the world owe their name to it. The biggest attraction today is the active Strokkur, which shoots up a column of water up to 30 metres (98 ft.) into the air every few minutes, a site not to be missed. The waterfall Faxi in the river Tungufljót in South region in Iceland is just a short distance from the famous Geysir hot spring area and the famous waterfall Gullfoss. Faxi is commonly described as a small version of Gullfoss but not as powerful. It is a beautiful waterfall placed in a wonderful and peaceful landscape. It is also possible to walk quite near the waterfall on the lower level and feel the drizzle from the water.A photo option to capture the waterfall from the upper level is also a good idea. The perfect ending to your day is a visit to The Secret Lagoon, a man-made hot spring of natural resources located in a geothermal area southern Iceland. Enjoy a soak in the thermal waters and enjoy the peaceful natural surroundings. The steam rising into the air from the 38 to 40-degree Celsius water gives the place a magical feel. Remember to bring proper outdoor clothing that is waterproof, hiking boots, hats and gloves. Should you plan on visiting the Secret Lagoon, a bathing suit and towel are also essential. Taste your way through Reykjavik on your private tour with a culinary master. Soar above the vast wilderness of Iceland as you take fight on your private helicopter tour. Enjoy the morning at leisure and the specialty shopping at this quaint capital. 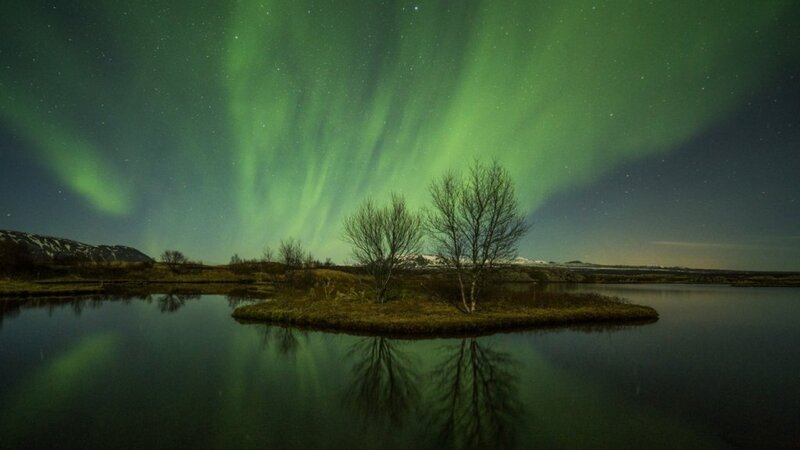 Later, join one of Iceland’s 'Culinary Masters of Reykjavik' for a special gourmet adventure. This guided walking tour takes you on a unique culinary journey of age old tradition as well as modern twists. Sample some of Iceland’s most iconic dishes and beers. Food lovers will appreciate this tasty tour. In the afternoon, transfer to the heliport where you board your private chartered helicopter. Take flight for 2 hours and enjoy the magnificent scenery from above. Your pilot will land at a hidden and remote location for a photo opportunity, which will leave with an everlasting impression in mind of this spectacular journey. A drive to the south east brings you to Vatnajokull Glacier, the largest in Iceland. The frozen world welcomes you for a glacier hike and viewing of beautiful blue ice crevasses and ice formations. Afterwards, look forward to an evening of leisure. &lt;p&gt;After a good breakfast we will continue the adventure with a focus on unique and private hiking and glacier hiking. Drive toward the Vatnajokull region, where you have a unique opportunity to experience and learn about the forceful interplay of volcanoes and glaciers. Vatnajökull, also known as the Water Glacier in English, is the largest and most voluminous ice cap in Iceland, and one of the largest in Europe. This massive glacier has many “glacier tongues” all of which have their own unique characteristics. A visit to Svinafellsjokull a glacier tongue, off of Vatnajokull glacier hike awaits you.&nbsp; Crampons an ice axe and helmet will be provided for you. Your expert guide will have you exploring ice formations and beautiful blue ice crevasses. Your sense of sound is heightened when you come to realize that the frozen world beneath your feet is slowly migrating toward lower land. After the glacier hike you will arrive at your hotel for the night. An unforgettable experience awaits you as you enter and tour the all-natural Crystal Ice Cave. Continue on to Jokulsarlon Glacier Lagoon where floating icebergs drift toward the ocean. A stop at the glittering Diamond Beach is followed by another night of Northern Lights. Your guide will drive you to the base camp, where you will change vehicles to a modified super truck that will take you to the edge of the glaier. Once you are in your helmet you will enter this unforgettable cave for a tour at your own pace. After the ice caves you enjoy Jokulsarlon Glacier Lagoon and its surroundings. At the glacier lagoon, enjoy watching icebergs floating toward the Atlantic Ocean, a truly unforgettable scene. By the shore, you will visit the glistening and glittering, Diamond Beach, where the icebergs float ashore and create a unique landscape. When you witness the nature made ice sculptures you will understand why this amazing location is called Diamond Beach. Return back to your hotel and another night of Northern light watching. The day begins with a visit to Fjardarglijufur canyon, one the most famous attractions in the south. Be sure to have your camera ready as you continue toward the capital along the scenic roads. Make a stop at the black lava beach, Reynisfjara. A visit to the Lava Center rounds out another perfect day. This morning we bid goodbye to the Vatnajokull region and it´s magic. En- route towards the capital you will visit some of the most famous attractions of the South; one of them being the spectacular Fjardargljufur canyon. The canyon has sheer walls, and is curved and narrow. The bedrock in Fjaðrárgljúfur is mostly palagonite from cold periods of the Ice Age and is thought to be about two million years old. The last stop of the day will be the Lava Center, where you will enjoy&nbsp;learning about the science of eruptions, lava flows, volcanic and rift systems, faults and glacial floods. The center provides a great introduction to the Katla Geopark (Katla Geopark is the first Geopark to be designated in Iceland, having gained membership of both the European Geoparks Network and the UNESCO-assisted Global Network of National Geoparks in 2011), as well as an explanation of Iceland's elaborate monitoring system for surveying volcanoes and earthquake zones. Arrival in Reykjavik late afternoon. Breathtaking views await as you depart for an exhilarating snowmobile ride and tour atop the E15 Volcano. The spectacular views continue as we visit two of Iceland's most iconic and beautiful waterfalls; Seljalandsfoss and Skoafoss as well as a secret waterfall. A return to the city brings a much needed rest for the evening. After breakfast, meet your guide and depart towards the Eyjafjallajokull Volcano, also known as 'E15', which became famous because of its violent eruption in 2010, where almost all air traffic between Europe and North America was interrupted. Snowmobiling on top of Eyjafjallajökull glacier is an unforgettable adventure you will not forget. When base camp is reached, you be have a safety breifing then get into your gear. Your super truck will journey you to the glacier where you will hop on your snowmobiles. Nothing beats this feeling! The snowmobile tour provides you with photo-opportunities like nowhere else! Take time to enjoy the breath-taking views over southern Iceland. After the snowmobile tour we will show you two of Iceland´s most beautiful waterfalls, Seljalandsfoss and Skogafoss as well as one secret waterfall! We then return to the city in time for early dinner. A welcomed morning of lesisre makes way for last minute shopping before a departure home from a magical journey! Morning at leisure to enjoy the capital. Later meet your driver for a transfer to the airport and your homebound flight.